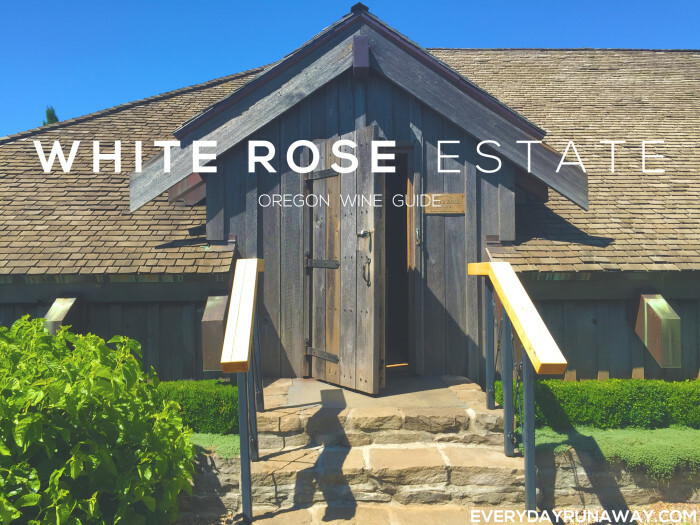 When I first entered the White Rose tasting room, it took my eyes a few minutes to adjust to the small (very) dimly lit interior. The cozy rustic wood and leather décor present the feeling of stepping into an attic or log cabin. 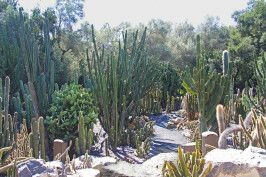 While the grounds are beautiful, the tasting room offers no windows for guests to enjoy the view. 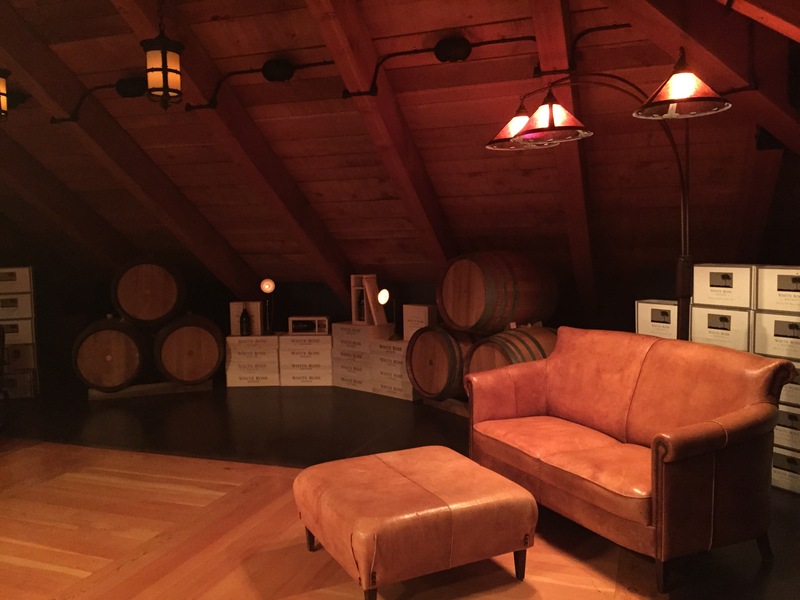 Despite this, the intimate experience and A+ hospitality make the tasting room worth a visit. 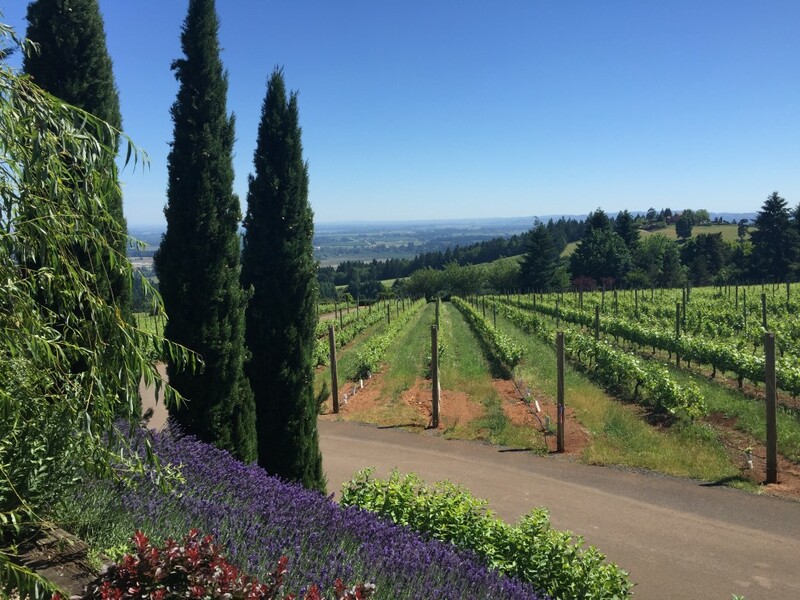 I was somewhat surprised to discover they only serve Pinot Noir (it was over 90 degrees outside the day of my visit, so I was leaning towards sipping a white wine). However, the 3 Pinots Noirs included in the flight were very good. I loved the fact that they give you a little side of club soda to sip between wine pours to cleanse your palette. Wine: White Rose Estate makes only pinot noirs, a craft they have definitely mastered. Their pinot noir is award winning, and very high quality. 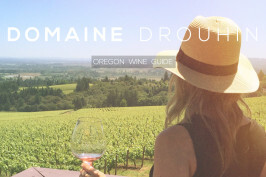 Pinot Noir drinkers will love this place, white wine drinkers will not. Price: White Rose Estate prides itself on top-notch pinot noir, so most bottles have a price tag to match. I’m not completely convinced that the wines I tried are worth $60+ a bottle, but I’m not extremely proficient in pinot. 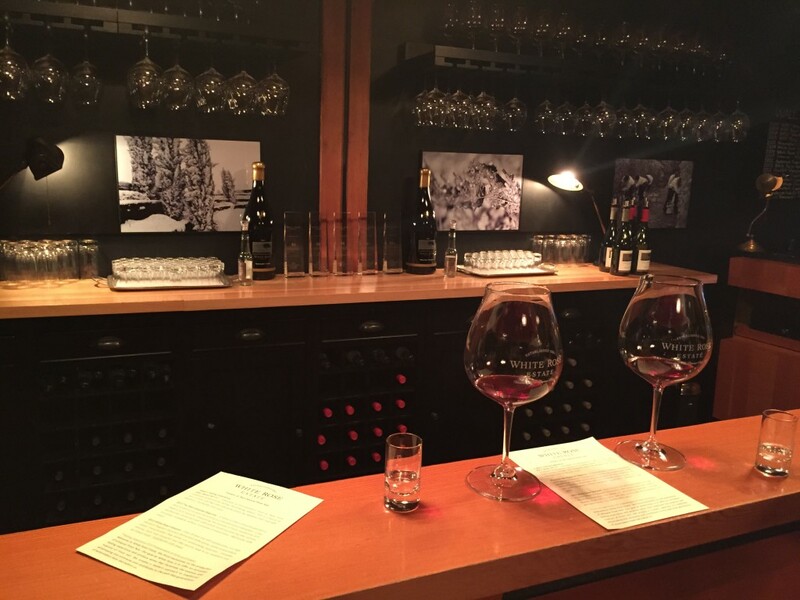 The $15 tasting fee gets you a taste of 3 pinot noirs and is not waved with a bottle purchase. Patio: While White Rose Estate is surrounded by beautifully manicured landscape, they don’t offer guests a patio on which to sit and enjoy the wine/views. You can bring a lunch (or buy a bottle) and enjoy it on the lawn surrounding the tasting room, but if you’re looking to taste wine outside (or with a view), White Rose’s window-less tasting room may not be the ideal place.